A big thanks to my sister for telling us about this one. When her family hiked this back in May, they saw whales and you guys, I’m not surprised at all! The views at the top of this short hike are INCREDIBLE and there’s enough space for a ton of people to experience them. But here’s the thing, I feel like hardly anyone knows about this place! We were there on a gorgeous day and it was just us the entire time. So on one hand, I’m happy to be sharing about this place, but on the other, I feel like I’m letting a tightly held secret out of the bag. The trail is well maintained, well marked and easy to follow. At a kids pace, if you follow the trail signs for Sares Head, you’ll be at the top in about a 1/2 hour. Yes, it’s short! The top looks like a crazy drop off, but it’s BIG so there’s plenty of space to sit, enjoy the views and a picnic. The views. 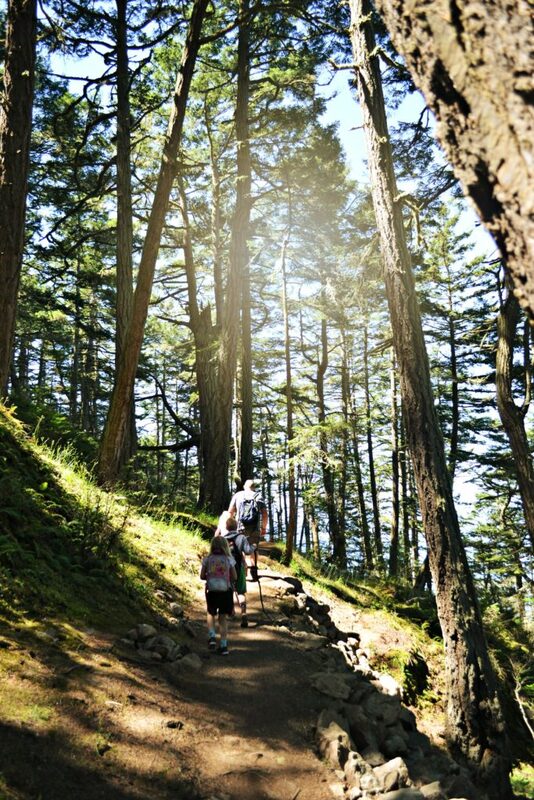 Plan on doing this hike on a sunny day, because although the trail itself is great, the views are what makes it fabulous. Here’s how you get there: From Interstate 5 at Burlington, take Exit 230 and head west on Highway 20. 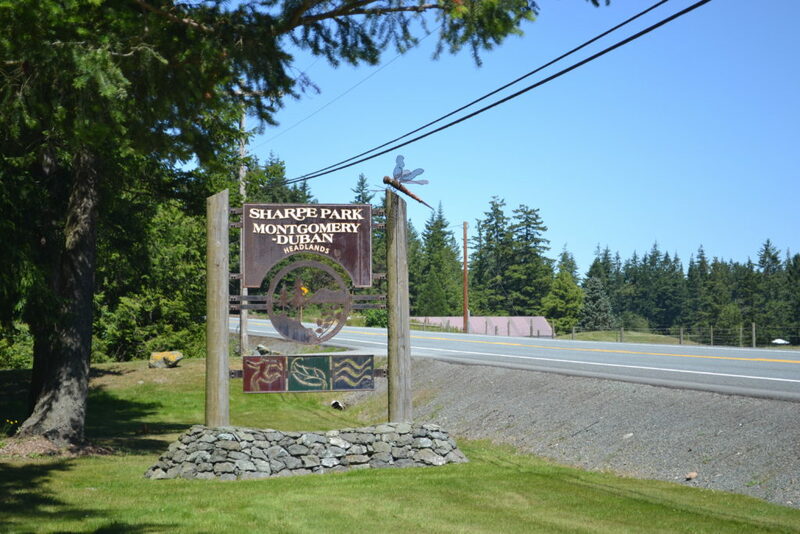 After 12 miles, cross the bridge to Fidalgo Island, and in a few more miles, turn left at Sharpe’s Corner to follow Highway 20 south toward Whidbey Island. After driving by Pass Lake, turn right on Rosario Road, and the park is on the left in 1.7 miles. Starting in the parking lot, you’ll glance at the map and see it’s a well planned trail. Follow the signs the entire way to Sares Head, but if you’re wanting more mileage, feel free to explore the other trails as well. 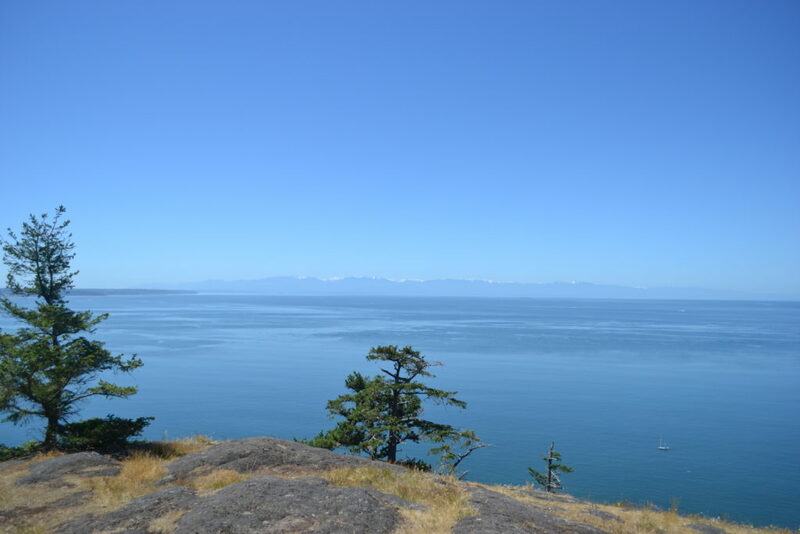 Below the photo shows Deception Pass to the south. 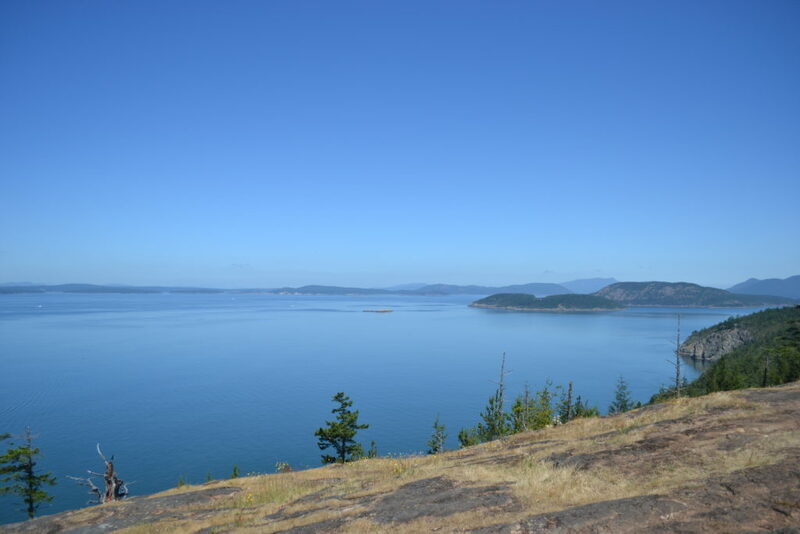 Looking north, out towards the San Juan Islands. Full views of the sound. See why this would be a great spot to see whales? There’s a bench at the top and plenty of space for a large amount of people to safely enjoy the views. 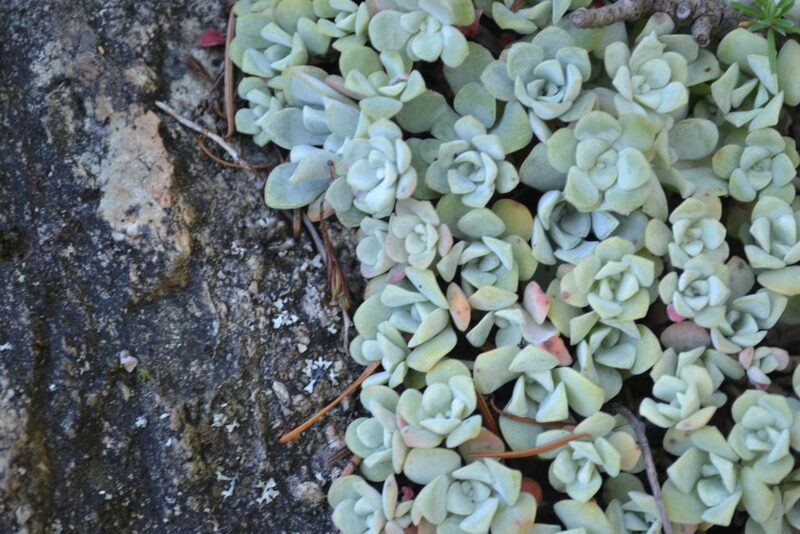 And come on….aren’t wild succulents the best? We found these beauties growing on some rocks. What did we do after the hike? 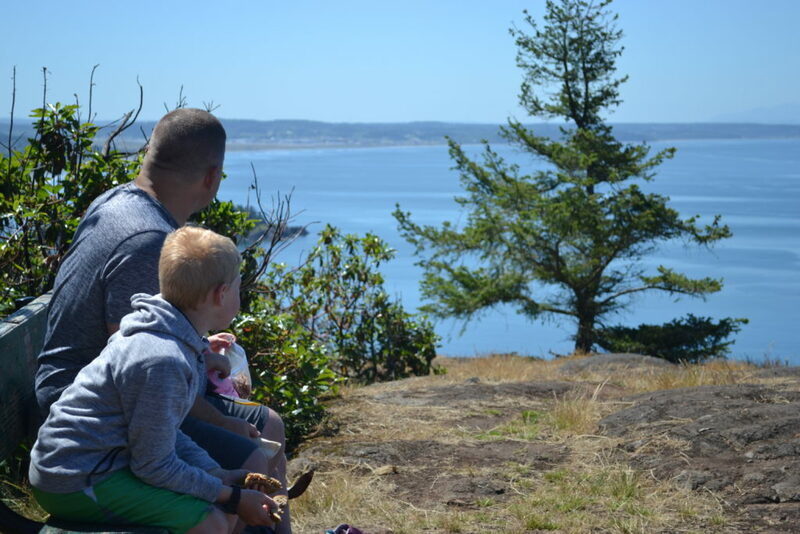 Took the kids to Washington Park in Anacortes and then to Snowgoose! It was a great day. After you do this hike, be sure to come back and tell me what you thought! 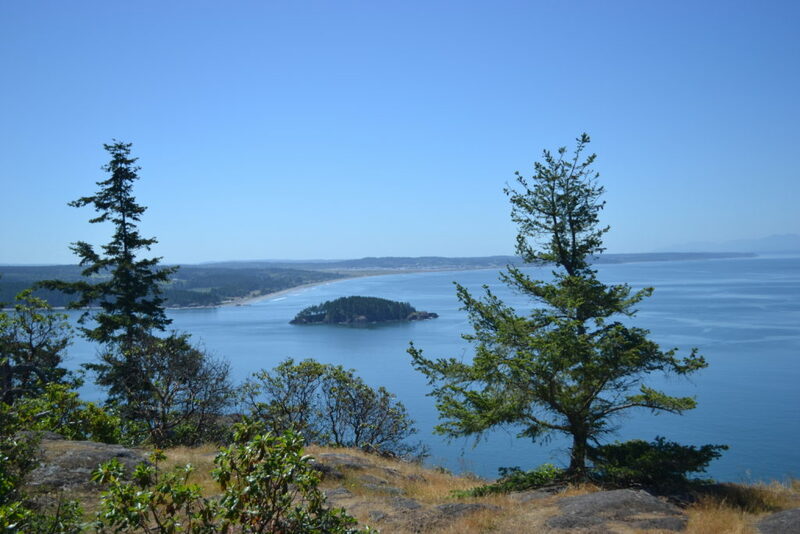 And of course, here’s another great hike to do in Anacortes (and a few fun places to stop afterwards), if you want to make a day of it! So doing this today and may even follow your plan entirely with a stop at Washington Park and then Snowgoose! 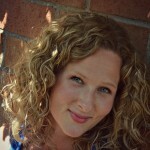 Thank you for being an inspiration and sharing easy local ways to get my family out in nature!